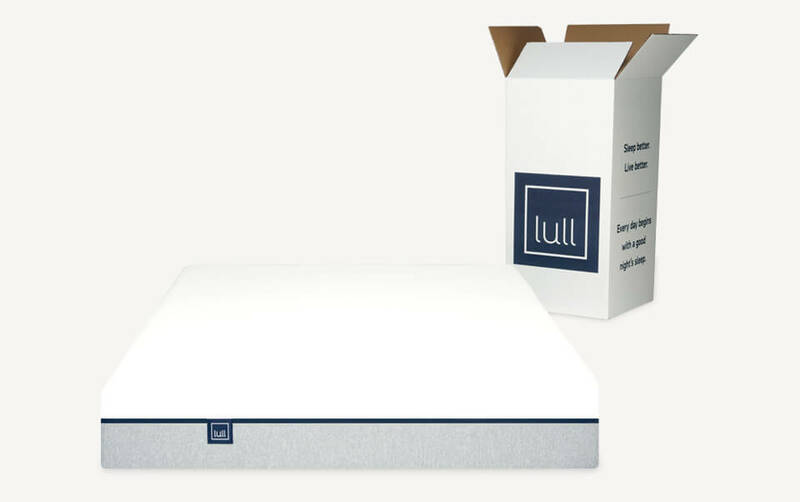 Lull is a bed-in-a-box seller that offers to their customers all types of foam mattresses at different prices. The Lull mattress makes use of three types of different foams so that their customers get comfort and support while sleeping as well as pressure relief and motion isolation. Anyone who is well aware of buying mattresses knows the importance of the above-mentioned terms and how crucial it is for mattresses to have a three-layered structure. This mattress helps in combining a gel-infused foam with therapeutic foam to offer you a perfect night sleep. However, this is not all that Lull mattresses offer; keep on reading the full Lull Mattress review and find out for yourself if this mattress is worth your money or not. 1 What Type Of Mattress Is Lull? 2 How Is This Mattress Structured? 3 How Is Firm Lull Mattresses? 4 Does Lull Mattresses Offer Proper Motion Isolation? 5 Do Lull Mattresses Get Hot? 6 How Long Do These Lull Mattresses Last? 7 Does This Mattress Have A New Mattress Smell? 8 What Sizes Are Available For Lull Mattresses? 9 Do Lull Mattresses Have A Special Foundation? 10 Can You Use A Mattress Pad? 11 How To Take Care of Lull Mattress? 12 Does Lull Mattress Provide Guaranteed Satisfaction? 13 What Does Lull Warranty Cover? 14 How Much Does A Lull Mattress Cost? What Type Of Mattress Is Lull? The Lull mattress as mentioned above makes use of a special therapeutic foam to offer you durability and support and combines it with a gel infused viscoelastic memory foam so that you can have a cool and peaceful night’s sleep. This mattress is manufactured in the United States and promises its customers a high quality sleeping experience at a reasonable price. 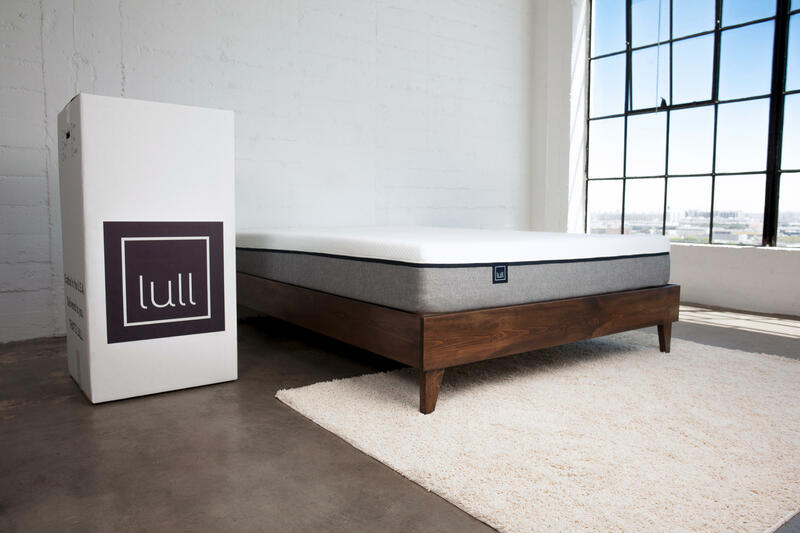 The mattress brought to you by Lull is long lasting and extremely comfortable for all kinds of sleepers. Lull mattresses use a unique 3 layer design for extreme comfort along with temperature regulation, pressure relief, and cooling relief. It is designed specifically to help support your spine in your ideal sleeping position and prevent heat from being trapped at night. This leads to a peaceful sleep without any tossing and turning. How Is This Mattress Structured? Lull Mattress is made from special foams that have been tested and certified to make sure that they are of the most premium quality and without any harmful chemicals. This mattress is made up of 3 distinctive and highly efficient layer and a cover that help in giving it a 10” height. The first and topmost layer of the Lull Mattress is a 1.5”viscoelastic memory foam infused with gel. The main characteristic of this memory foam is the polyurethane foam that offers slow recovery. This foam is of premium quality and allows you to balance your weight with pressure on the surface. It helps in providing you with medium support and keeps you less tired. This layer also has tiny holes in it which helps in temperature regulation and air flow avoiding any heat from getting trapped in. This helps in providing you with a cool feeling as you lay down and also helps in relieving pressure on different points of your body to keep you comfortable. The second or middle layer of these Lull Mattresses is made from common memory foam and is also 1.5” in height. This layer is considered as a transitional layer and aims to support your entire body while allowing even distribution of your weight and providing spinal balance to your back. The bounce on the top layer is also excellent and helps in returning the mattress to its original shape right away no matter how much pressure you apply. The third and the most bottom layer is 7” highly supporting foam made from polyurethane. This is the base of the mattress and provides the strength and support to the top two layers. This base works with the first and second layer and helps in providing you with a great sleeping experience without any sagging in between motion transfer. The entire mattress is then covered in handcrafted, highly-premium cover that provides it with flexibility and added comfort. The cover is made from materials in the US and is also fire resistant. It can also be removed in case of any stains and cleaned easily. The cover of this Lull Mattress gives it a soft touch due to its colors; it has white fabric top and grey panels on its sides. The cover is incredibly thin and helps the mattress to remain breathable and cool. It is made from polyester and rayon and is incredibly long-lasting. How Is Firm Lull Mattresses? 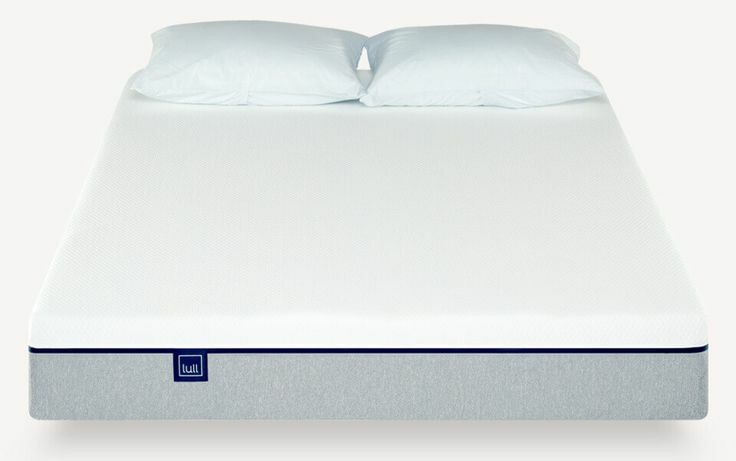 Lull Mattress offer just the right amount of firmness to their users. It is not too firm nor is it too soft; it offer just the right feel to it which makes it ideal for all sleepers. The top layer of this mattress helps in giving it a soft cushy feel and is also supported by the polyurethane base layer and the therapeutic foam layer. All these layers work together to ensure that your body is cradled with utmost comfort and the right amount of firm support is given to help maintain the alignment of your spine all through the night. Does Lull Mattresses Offer Proper Motion Isolation? Motion Isolation refers to how effective your mattress is in absorbing your movements during sleep. This feature is incredibly important for people who sleep together whether they are couples or siblings. A mattress with good motion isolation helps your partner to toss and turn easily and even get in and out of bed without disturbing your sleep. The Lull Mattresses are great for couples and siblings who share a bed because it offers good motion isolation due to its three layers of foam. These layers absorb motion and help in isolating you from your partner. Do Lull Mattresses Get Hot? Most mattress buyers look for mattresses that allow temperature regulation. This feature is important because at night when the bed gets too hot you may start sweating and this can disrupt your sleep. The Lull Mattresses, however, were designed to help provide you with a cool and comfortable sleep. With its gel infused 1.5” memory foam, Lull Mattress not only cradles you to sleep but also helps in relieving pressure from your joints. This mattress allows temperature regulation to enhance your airflow and to help pull heat away from your body keeping you cool throughout the night. How Long Do These Lull Mattresses Last? When buying a mattress, most buyers ought to know about the durability of the mattress before they buy it. Robustness of a mattress can be a great concern for people because paying a good amount of money for something that you will have to replace after two to three years can be a very stupid decision. Most people want to buy a mattress that can last for ten years or even more which is why Lull Mattresses can be a great option to choose from. The seven inches of polyurethane foam allows you to rest for ten years and even more before worrying about a new mattress to buy. The high quality resources used in the creation of this mattress help in preventing it from having any dents or sagging. Lull mattresses even promise you with a ten-year warranty to make sure that your mattress gives its best performance for the entire period. Does This Mattress Have A New Mattress Smell? New mattress smell or more commonly known as off-gassing is another huge concern for mattress buyers. Many foam mattresses have a slight chemical-y smell to it when it is first used, and Lull Mattresses are no stranger to this issue. This off-gassing smell comes from the manufacturing process of these mattresses and is not harmful to your health. However, it can be annoying to people who are sensitive to smell. Depending on your sensitivity, you may notice a slight plastic smell once you unbox your mattress and set it up but this smell usually dissipates from the Lull Mattresses after a few days. In case the smell is still there after your mattress has been set up, you can easily remove all the covers and sheets from the mattress and open the doors and windows of your house to allow air flow. This will help in eradicating the odor from you mattresses faster and will prevent it from returning. Another method to get rid of this chemical smell is the white sock treatment. This treatment requires you to jump on the mattress to help release the gasses present in it quickly. However, once you are done jumping make sure that you do not remain in the room for long so that you do not inhale a lot of these chemical gasses. Also check your warranty before trying on this treatment as jumping on a mattress can void some warranty cards. What Sizes Are Available For Lull Mattresses? Do Lull Mattresses Have A Special Foundation? Many mattresses require a special foundation before being placed on your bed, however; Lull mattresses do not require any special surface to be placed on. These mattresses can be placed on hard surfaces which include box springs; bed frames whether it’s a slatted frame or a platform and can even be placed on the floor. The three foam layers on these mattresses are able to adjust on any surface to give you ultimate support. However, do make sure that the surface you place your mattress on is an even surface and does not have any sharp projections that can damage your foam. Can You Use A Mattress Pad? A mattress pad helps in providing your mattress with an extra fluffiness and also protects your mattress from everyday wear and tear and dust mites. Even though Lull mattresses are very fluffy, but they do recommend that you use mattress pads as a form of protection. These mattress pads help in keeping your bed clean and in excellent condition. How To Take Care of Lull Mattress? Lull Mattress is very simple and easy to take care of. Since they are designed to help provide you with ideal support and comfort for more than 10 years, there is no need for you to flip and rotate these mattresses. Any stains that can show up on your mattress can be easily removed by taking the cover off and cleaning it with detergent or soap. However, when cleaning, make sure that your cover is completely dry before using the mattress again. Does Lull Mattress Provide Guaranteed Satisfaction? Lull backs up their guaranteed satisfaction and a promise for the best sleep you have ever had by allowing you a hundred night trial period. With this trial period, you can make sure if this mattress is really made for you and if not then there is no need to worry; Lull will pick up the mattress for free and refund you your purchase price immediately. Without any additional cost, you can try this mattress for 100 nights and decide for yourself instead of trying a mattress for only a few minutes in a shop. 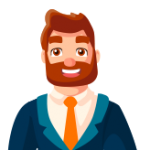 What Does Lull Warranty Cover? As mentioned multiple times in this article, Lull Mattress provides you with a 10-year warranty that starts from the date you purchased this mattress. This warranty helps in protecting your mattress from any kinds of flaws or defects that can come on it. In cases where you need to replace your Lull mattress, they provide you with a comparable mattress model and size to replace it. Lull warranty covers any sagging in the mattress surface that measures at least one inch or deeper than that and also other visible dents; keep in mind that these dents must not be the result of weak foundational support. They also provide warranty in case of manufacturing flaws such as a damage cover zipper. The warranty does not cover damaged and broken zipper due to misuse. How Much Does A Lull Mattress Cost? Since Lull mattresses provide all standard size mattresses, the price for the mattresses varies. Sometimes Lull even starts promotional offers and gives a $100 discount on every size. Mentioned below are the regular and discounted prices for each mattress sold by Lull. When compared to other mattresses with the same premium quality, Lull appears to be more reasonable than most of them. With the above Lull mattress review, you can see for yourself that this is one of the most premium quality memory foam mattress present in the market. The medium firmness makes it ideal for multiple uses, and it also helps in providing a healthy spinal balance. It allows temperature regulation and reliefs pressure making you sleep peacefully at night. Mentioned below are the overall pros and cons of this mattress as well as the overall rating for Lull. Read on below and decide for yourself if this mattress is worth your money. Lull mattresses use a unique 3 layer design for extreme comfort along with temperature regulation, pressure relief, and cooling relief.